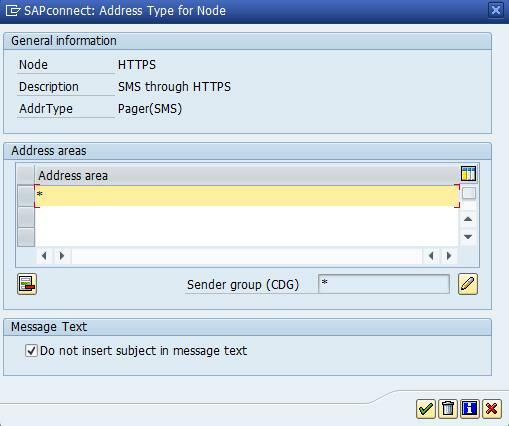 This document describes the task of Setting up a connection to a SMS Gateway provider to enable sending SMS in a secure way from the SAP Business Workplace. The setup is divided in 3 sections. Then go to the handler list and provide following handers. 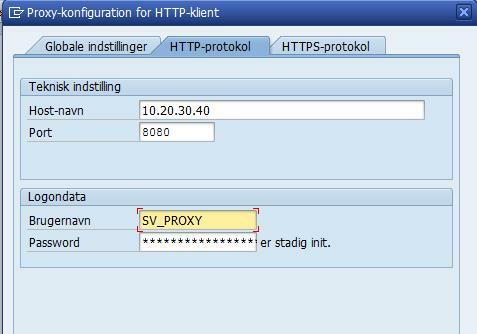 If your network environment has a proxy, then provide the proxy setting to reach it to the given URL. Use transaktion SA14 (The best practice is to go to 000 client and do this). 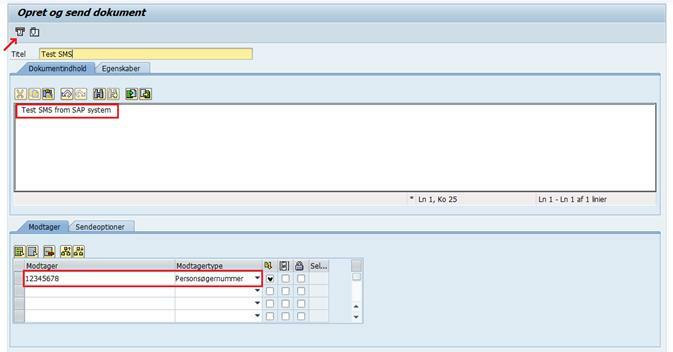 Prerequisites: You have setup up the ABAP Server for the SSL communication. You have installed SAP Cryptolib and maintained transaction STRUST. Use transaction STRUST, click “Change” To add the certificate to the SSL Client (Standard), duple click the certificate under “SSL client (Standard)” in the left pane. 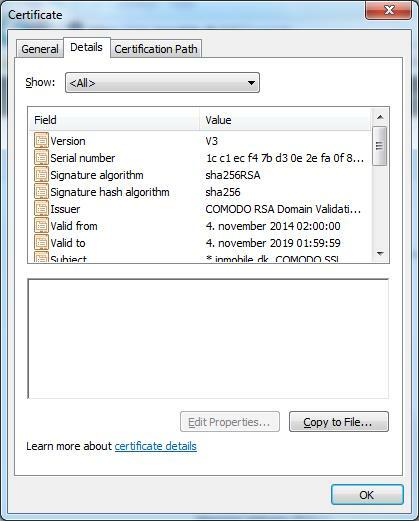 In the right window in the Certificate section at the bottom, click “Import certificate” and select the certificate from the provider. Now click and save it. To load the changes in to ICM (Internet Connection Framework) Restart ICM. Go to transaction SMICM and select the menu “Administration-> ICM -> Hard Shut Down -> Global. 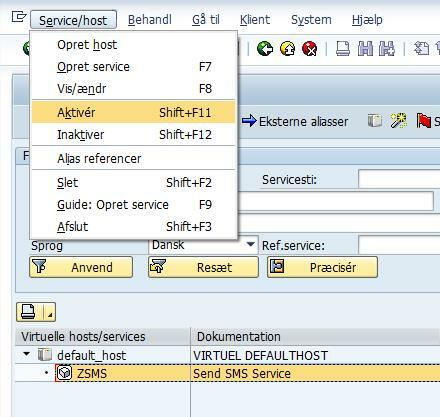 In transaction SM59 create a new HTTP Connection to External Server (Connection type G). Enter Description and press enter. 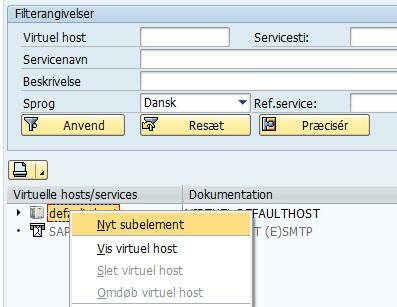 In the “Technical Settings” pane, under “Target System Setting” enter Target host (hostname of the provider) Service No. (HTTPS port of the provider) and Path Prefix (path to the action script that handles the POST or GET call). In the “Logon & Security” pane select “Do Not Use a User” and in the bottom, in the “Security Options” set SSL active and select DEFAULT SSL Client (Standard) in the SSL Certificate list. Save and test connection to verify that you get a return code 200 (ignore errors in the response-body about parameters not filed). Tip! 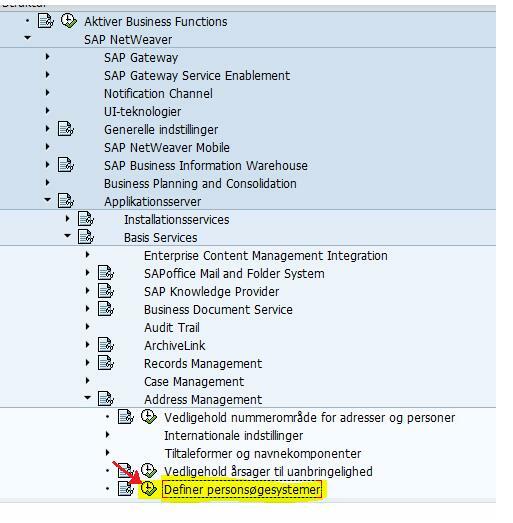 Be sure that the SAP Gateway security allows connection to the external host. 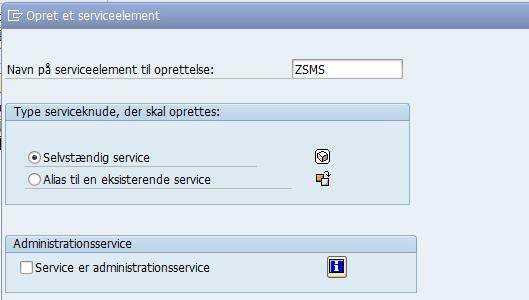 Fill in the Nodes, Description, Hours/minutes, check Node in use, add the RFC to the SMS Gateway provider and select Method GET. 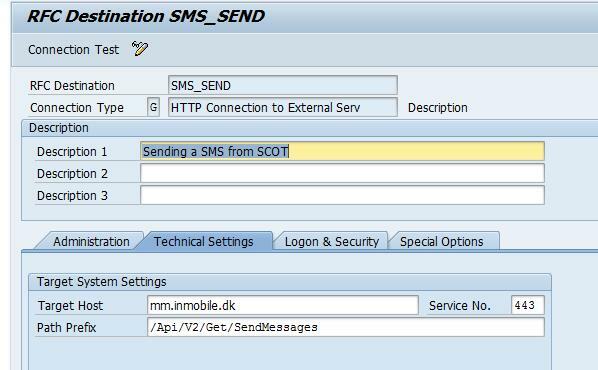 In the URL/Query box parameters from the SMS provider and is entered and filled with SAPconnect variables (seen in <>) or entered as fixed values. “apiKey” is entered in clear text as a fixed value. “sendername” is in this case same for all and is set to the fixed value CrMED. 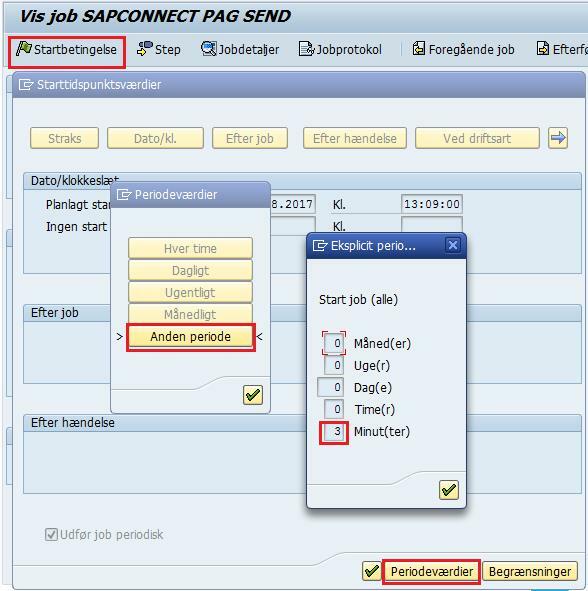 “test” is entered as SAPconnect variable. 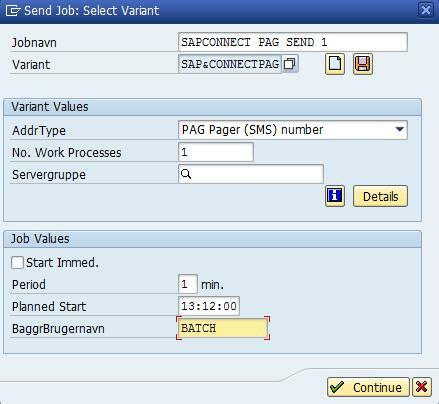 “recipients” is entered as SAPconnect variable with country prefix 45 as a fixed value in front. Maximum Length is set to 200 characters. 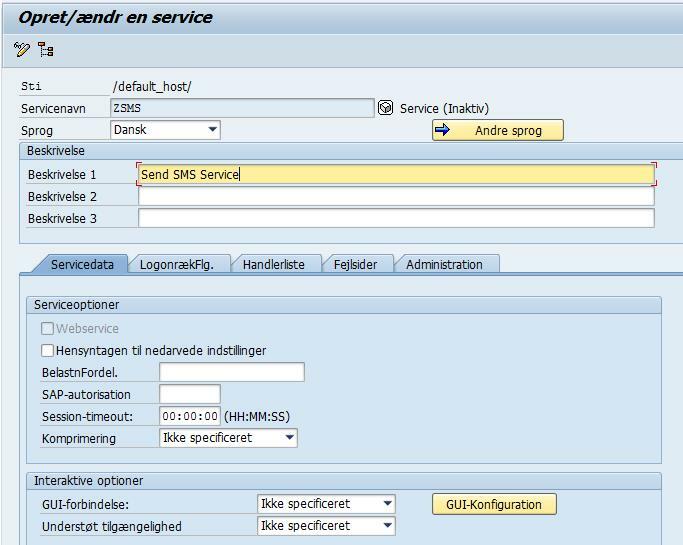 In transaction SMWP create a new message. 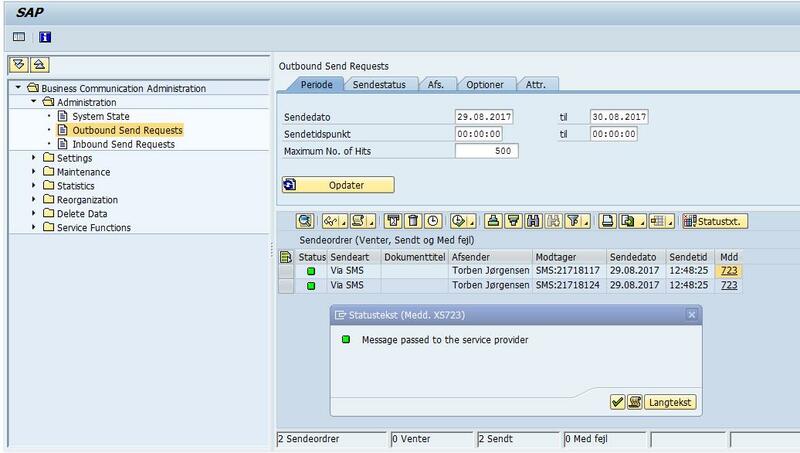 Enter the receiver’s mobile number and select receiver type Pager (SMS) and click send. Great guide – good work – Thanks a million!!! 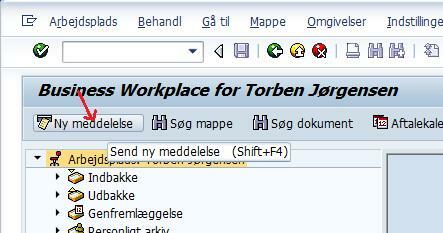 Thanks Torben, very nice blog! I have a question. 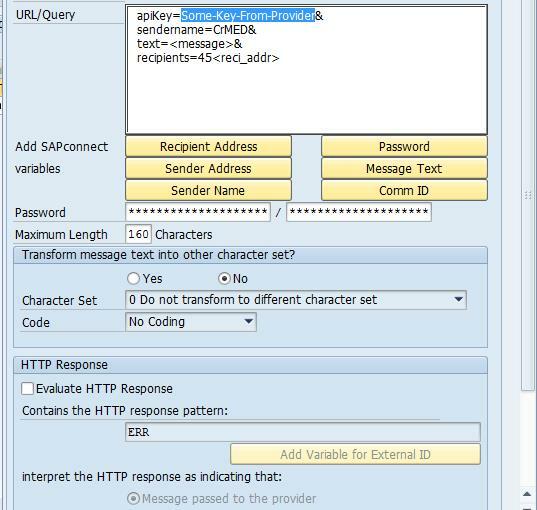 How to do the configuration with SAP Gateway security to allow connection to the external host.